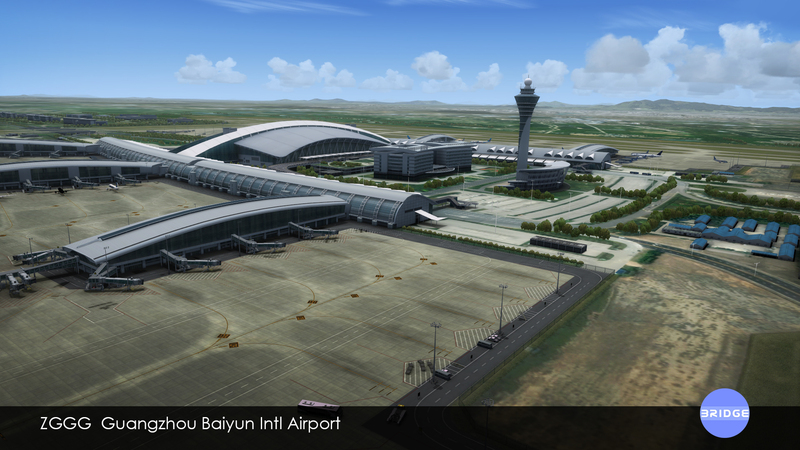 Guangzhou Baiyun International Airport (IATA: CAN, ICAO: ZGGG) is the main airport of Guangzhou, the capital of Guangdong province, China. 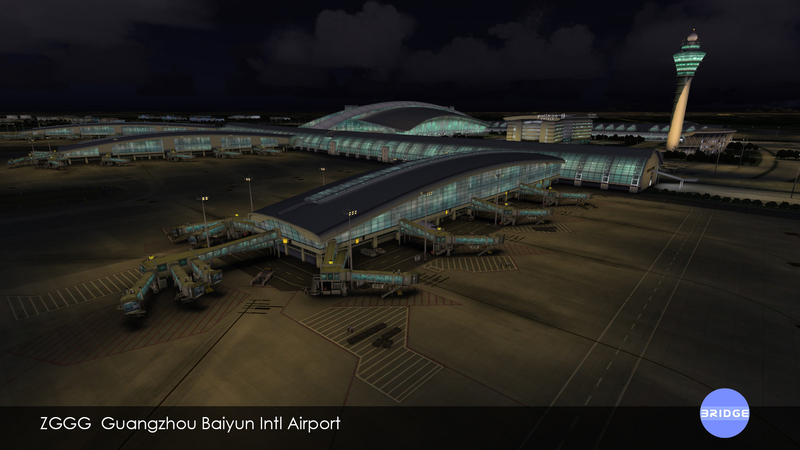 In 2014, Guangzhou Baiyun International Airport was China's second busiest and world's 16th busiest airport by passenger traffic. 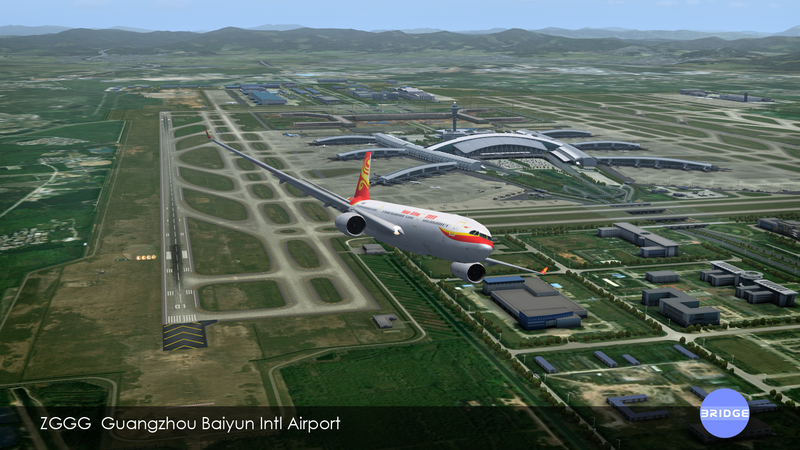 As for cargo traffic,the airport was the third busiest in China and the 18th busiest worldwide. 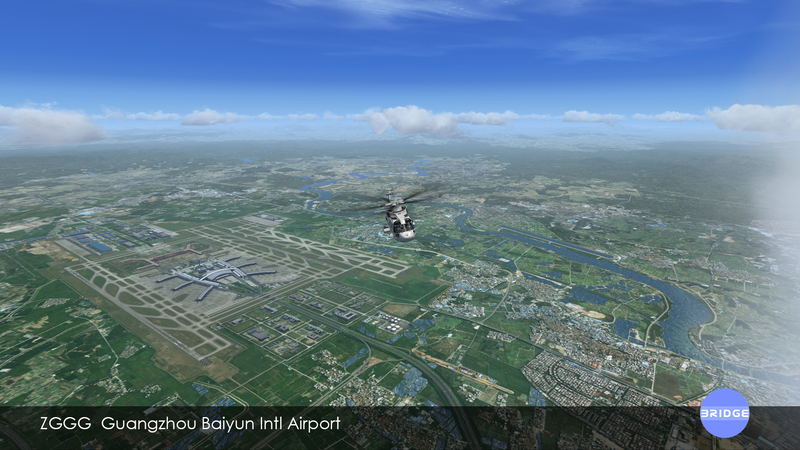 Photoscenery cover the area of the airport and surrounding area including Guangzhou City. 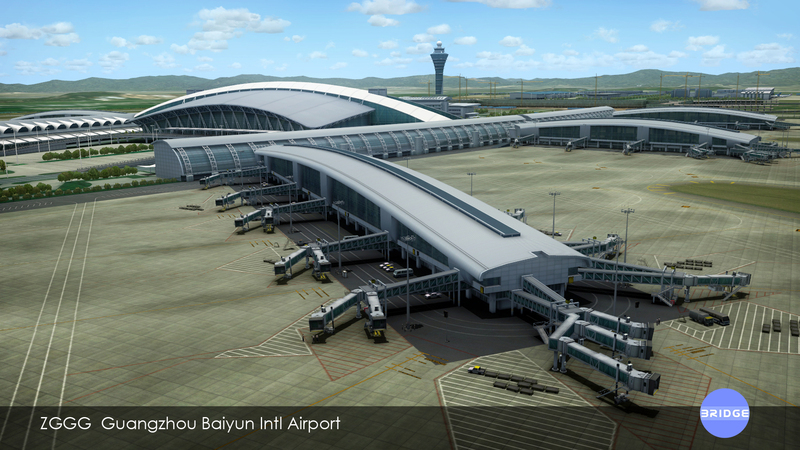 A very beautiful airport I love flying in and out of. 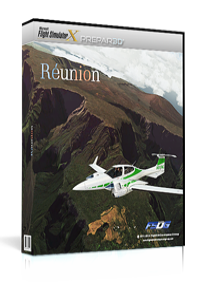 A must have if you like Asia flying. 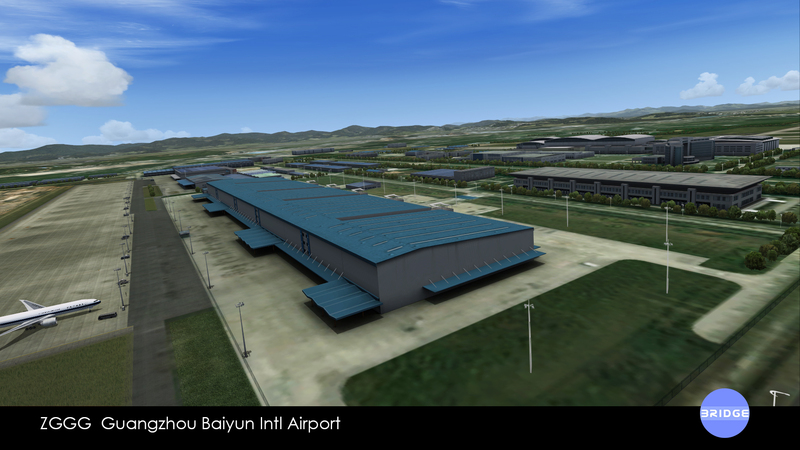 There are some downsides to this scenery though: The surroundings are not very detailed, the jetways are static and the newest terminal is not there yet. 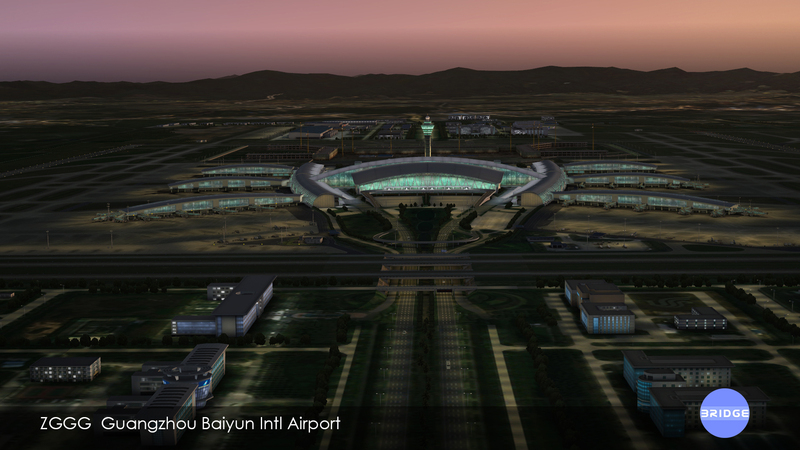 The aiport is very well modeled, so it still deserves 5 stars in my opninion. 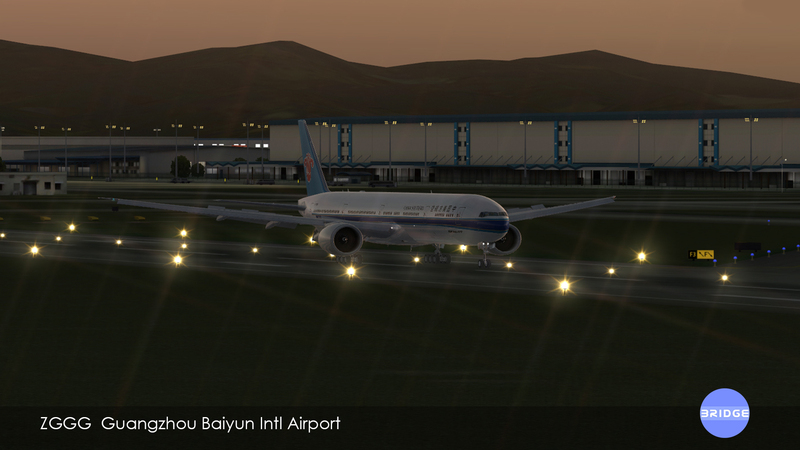 It was the best Chinese airport scenery ever seen. The jetway can not be move but it's not a big problem. Very good frame rate and texture. Keep going and make more awesome scenery in China!!! Superb quality 3D modelling here with nice textures except for the surrounding land which I find kind of low resolution but it does not bother me much. What does, however is that I find the immediate surroundings kind of sparse as if the developers excluded autogen object from around the airport. And then the lack of moving jetways... It is disappointing. 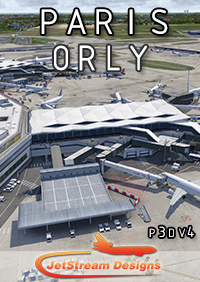 This scenery is not on the cheap side, in fact FlyTampa's Sydney costs somewhat less, I believe it is fair to expect moving jetways at this level, either the default CTRL+J or via SODE. Unfortunately this is not the case. And one more thing that annoys me is that the Cargo Apron feels very empty and abandoned. Some containers, pallets, vehicles and other random stuff would bring it to life, keep in mind ZGGG is one of the busiest cargo hubs in the world with both FEDEX and China Southern Cargo being based there. 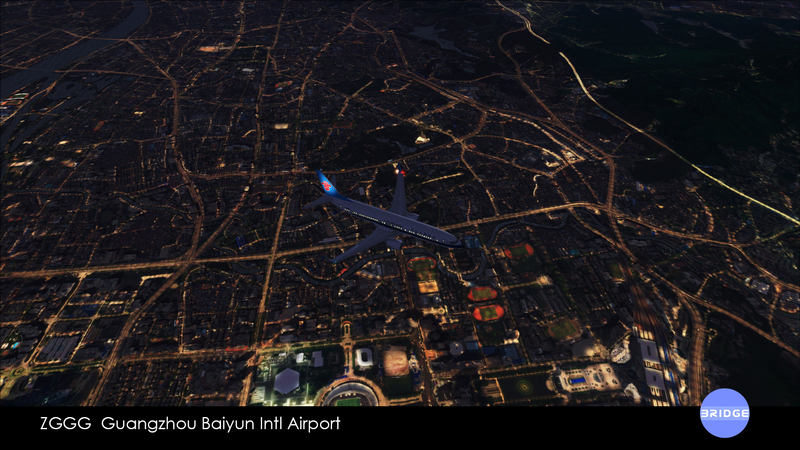 Apart from these, the scenery is good, you won't regret buying it, a beautiful rendition of the airport and since there isn't much choice for Guangzhou, if you are interested in flying there you'll go with it anyways. 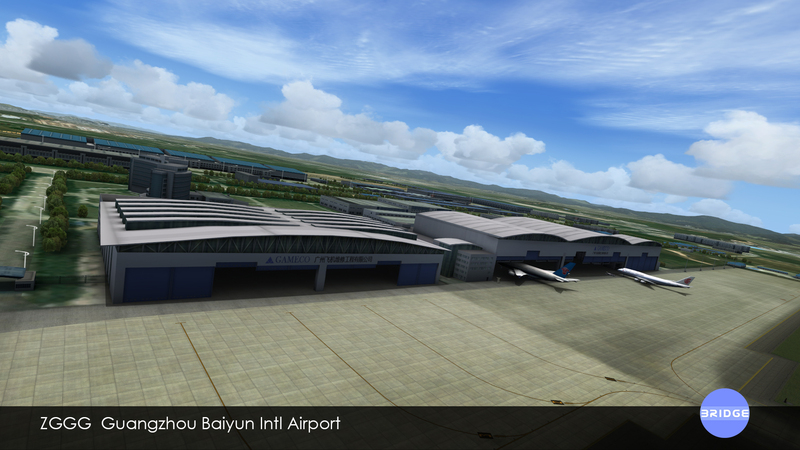 I'd say it's a four star **** scenery with one star * deducted due to the lack of jetways. Let's hope Bridge is going to add them in form of an update at some point. 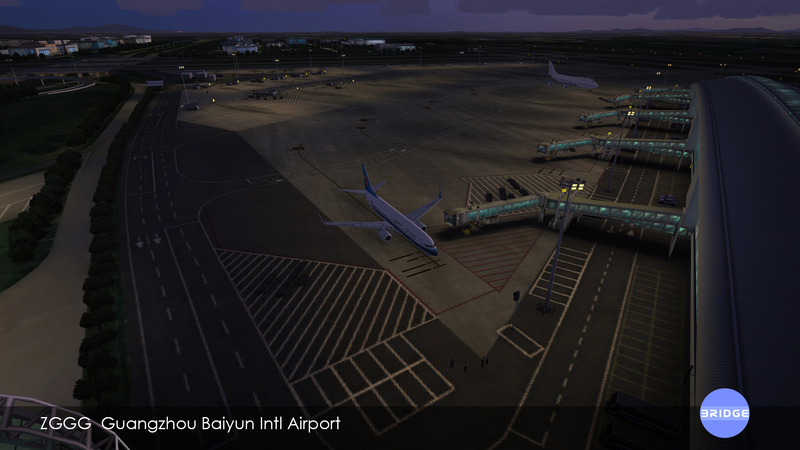 Maybe a nice scenery but without moving jetway and still not supported by AES after 1.5 year. 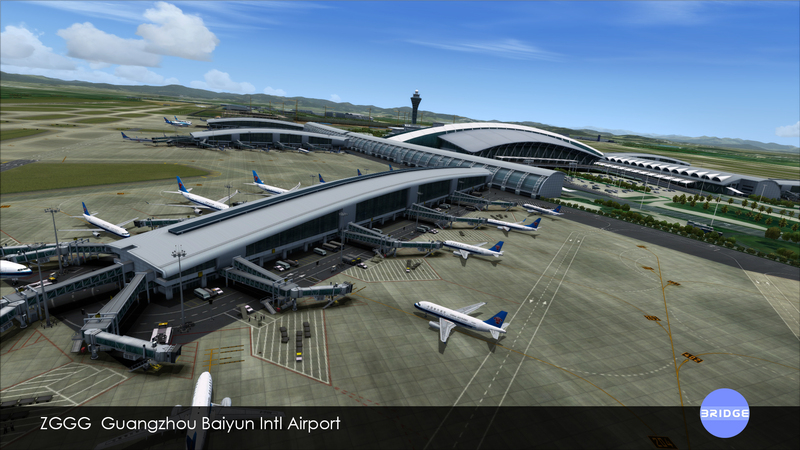 In FSX in 2016 moving jetway for such a big airport is "mandatory". 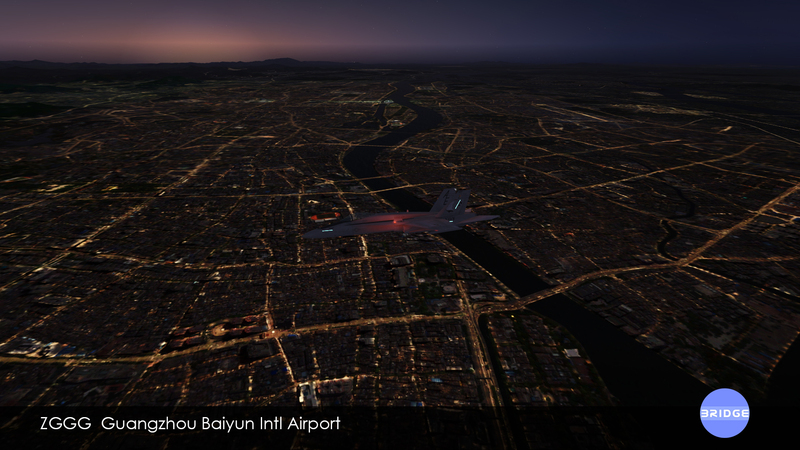 Seriously, one of the best sceneries I have ever come across for FSX. The only developer you can compare this to is Flightbeam. I would even say this is better quality than Taxi2Gate. 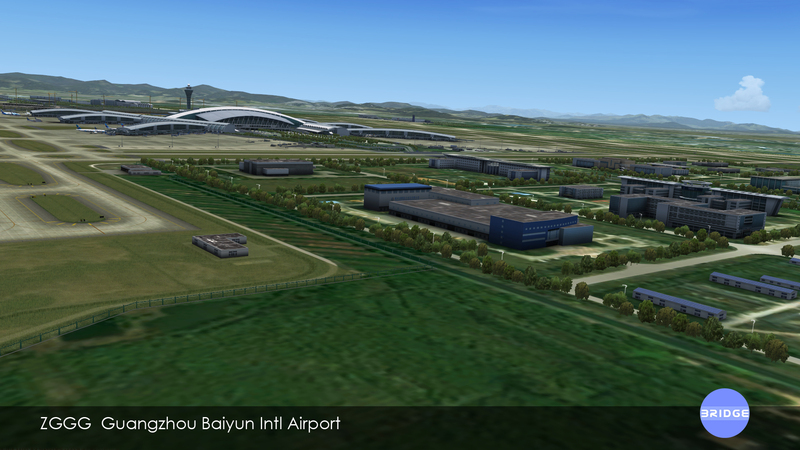 Compared to this Aerosoft airports look like FS2000. Frames, fantastic. VAS usage, fantastic. Textures are so real it is amazing. The pictures don't do this airport justice. 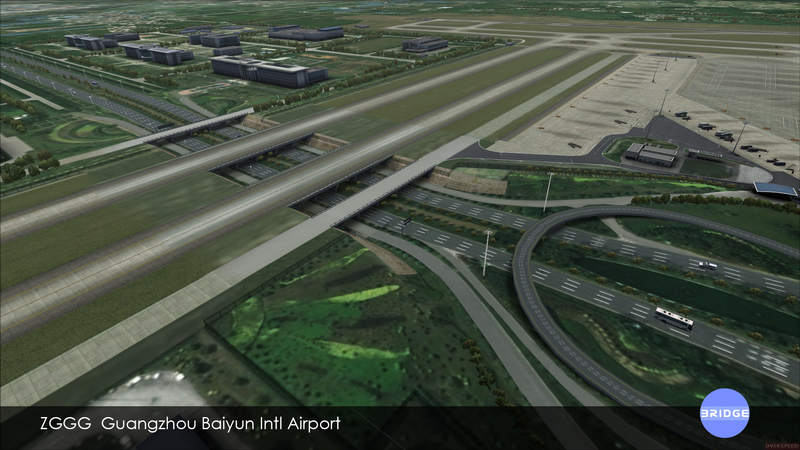 How many times have you bought an airport and felt cheated by the pictures? Not this one, I promise you. No fancy pics, no fancy marketing, just quality! Only issue is no AES support which is very strange because they cover airports that are so ugly you would wish you were blind. Never heard of them but I'll have to tell, never will forget them either. That terminal design is IMO on par with the top developers out there. Sure I miss working jetways but as a jet hauler thats the only negative point I can find on this scenery. It is very smooth on the fames as well. I would give them 4.5 stars if I could. Very vivid，very nice，i can see many people.So good that i can not how to say it! 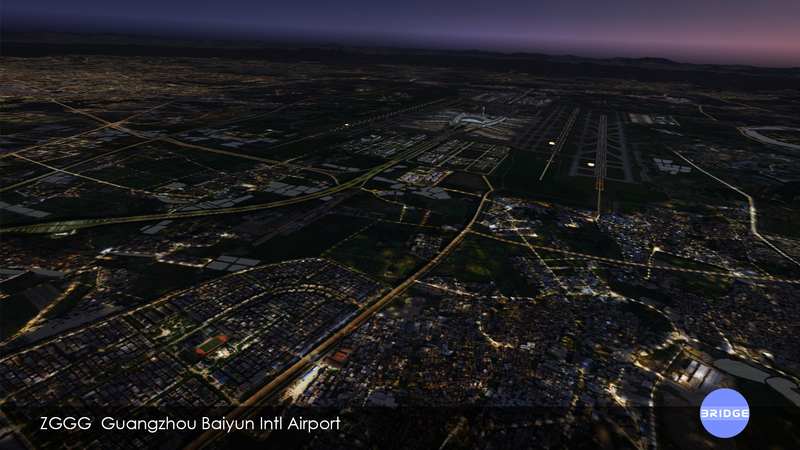 i've been to Baiyun a couple of times and i must say these feels just the real thing. 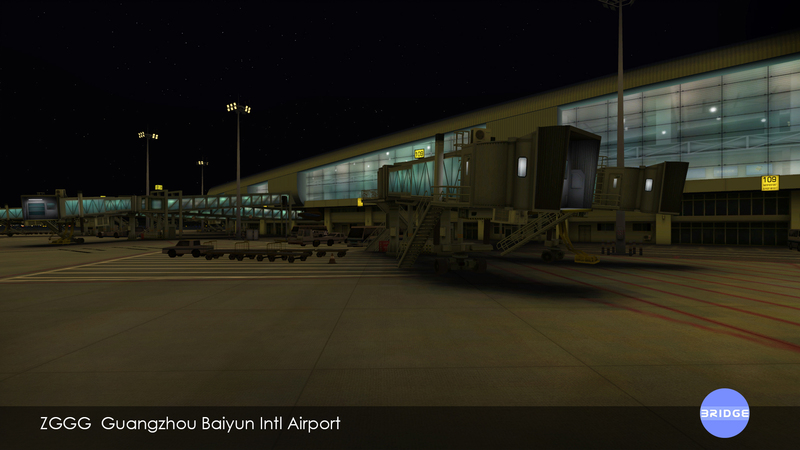 unfortunately the jetways doesnt work "yet" - will it work soon or not i dont know. a bit on the pricey side, i would have given a full 5 stars if the jetways are working. As everyone else has said this is a true masterpiece. It is extremely good value for money. The detail is amazing and the quality of the textures will leave you lost for words. You really must buy this product. 15 out of 10 for this work 'BRIDGE', hope to see more very soon. 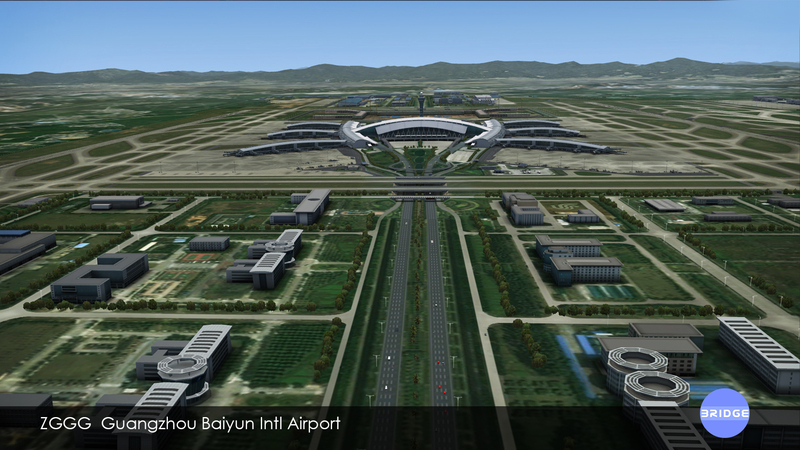 This is a must have airport for anyone who flying into china airspace. 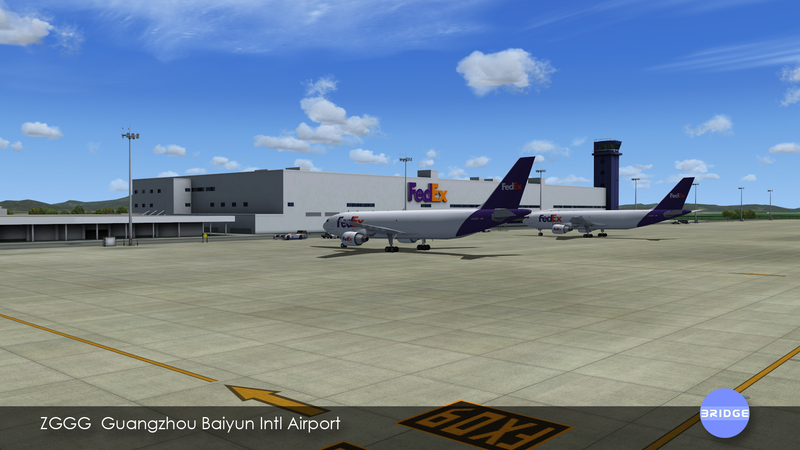 It is also the asia hub for Fedex!! 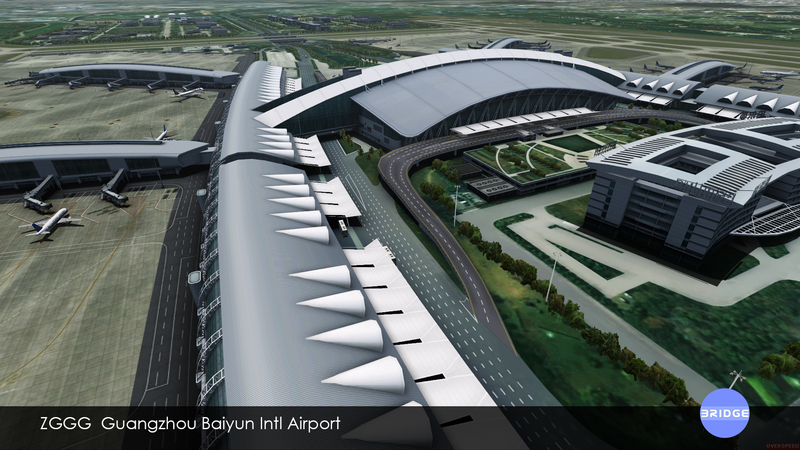 !It is located near Hong Kong International Airport and link to other airport in China. I know the author do this product by himself alone over a year. I appreciate what he done since there are still lack of good quality scenery for China. However, the jetways doesn't move, this scenery will be prefect if the jeyways can move. This is realy a very beautifull art of work, I can highly recommand this scenery to everyone. You get all you need in this scenery. 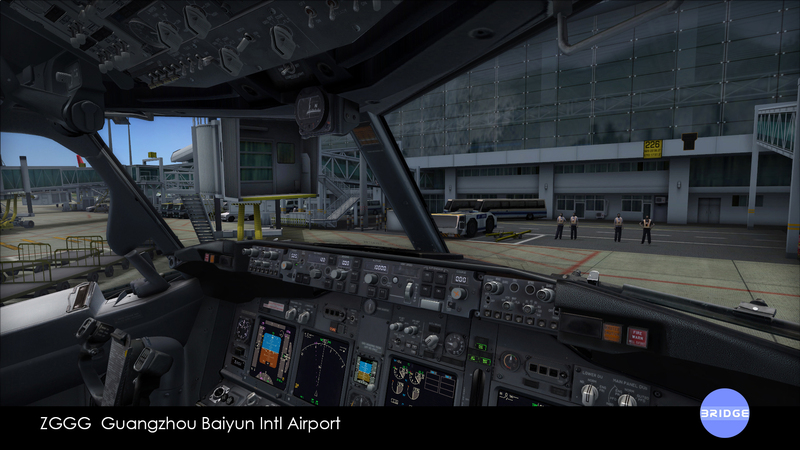 Only the jetways are static, but that's not a problem for me, maybe in the future they will also be AES supported, I know it for sure. Buy it!, you will surely not be dissapointed. And it´s worth the price! This product is really amazing. 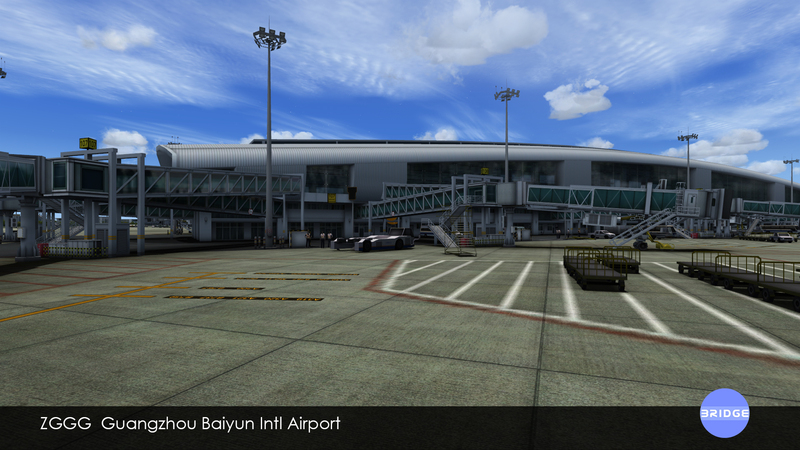 The airport is very beautiful and detailed, and the FPS is friendly. 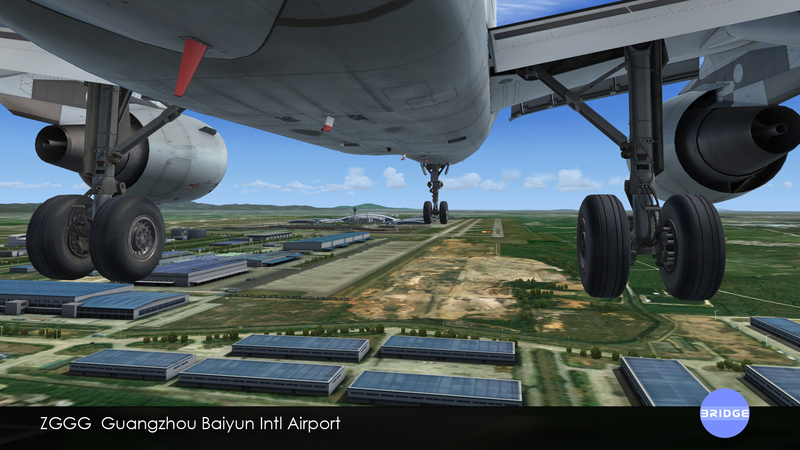 For pilots who fly in and out of China, I highly recommend this scenery to all of you. This is the one you should have. This is one great scenery. Welcome to the big league....That was quick!! Never heard of them but I'll have to tell, never will forget them either. That terminal design is IMO on par with the top developers out there. Sure I miss working jetways but as a jet hauler thats the only negative point I can find on this scenery. It is very smooth on the fames as well. I would give them 4.5 stars if I could. ry nice，i can see many people.So good that i can not how to say it! 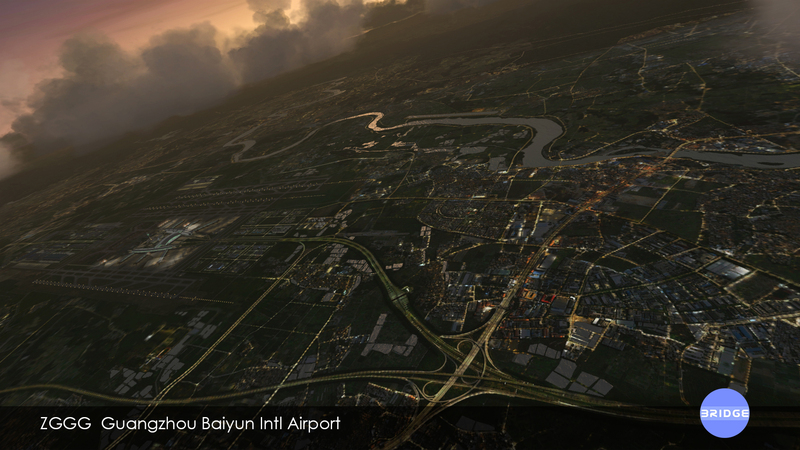 i've been to Baiyun a couple of times and i must say these feels just the real thing. 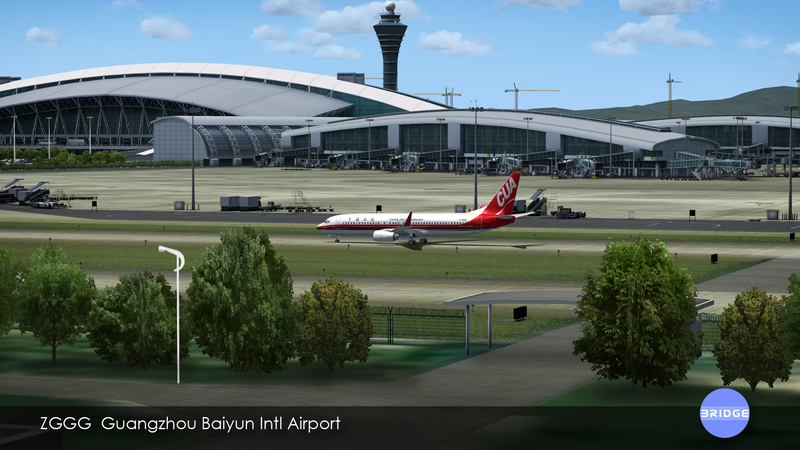 unfortunately the jetways doesnt work "yet" - will it work soon or not i dont know. a bit on the pricey side, i would have given a full 5 stars if the jetways are working.